Learn the physical, emotional and spiritual role the psoas muscles plays and how to strengthen the psoas, helping alleviated lower back pain and hip pain. As modern-day populations grow more sedentary, psoas-related lower back and hip pain are on the rise. 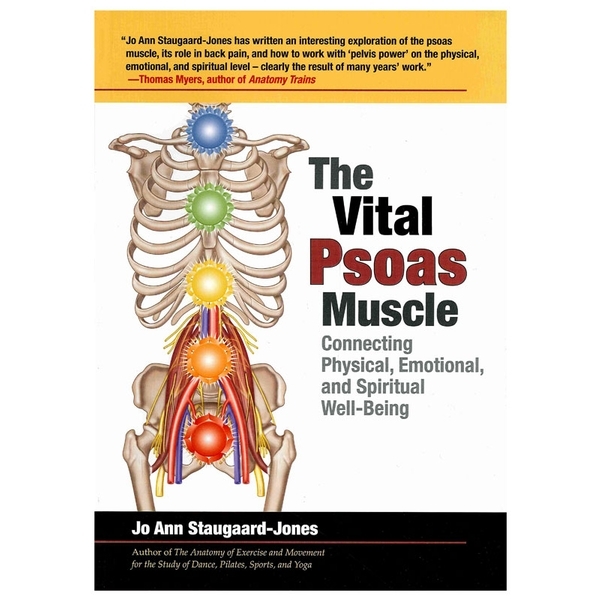 The Vital Psoas Muscle: Connecting Physical, Emotional and Spiritual Well-Being demonstrates how to keep the psoas in balance through specific exercises designed to strengthen and utilize this amazing muscle, and discusses its vital role in the emotional and spiritual state of the human being. Written by JoAnn Staugaard-Jones. Illustrated. Softcover; 128 pages.